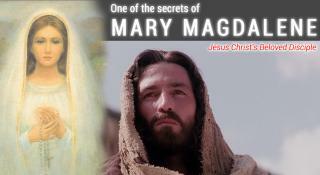 A striking and resonant research was carried out by Ramon K. Jucino, who endeavoured to prove that Mary Magdalene’s name is still the most concealed, unnoticed and mysterious in the old story of Jesus Christ the Saviour. We will surely refer to this personality many times ahead, since the Primordial Knowledge brought by Rigden Djappo contains mentions of her as the most significant, epoch-making figure in the history of the “contemporary” stage of human existence on Earth. 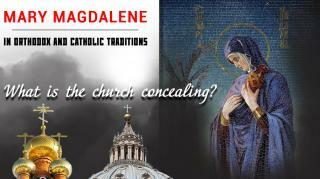 There are obvious “parallels” and secrecy based on undisguised lies in the official Church’s version of the story. 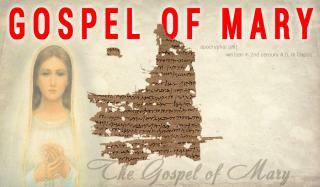 The Gospel of Mary is an apocryphal text written in the 2nd century A.D. in Coptic. It was found in Cairo in 1850 by Dr. Karl Reinhardt, but was first published in 1955 only. The text appears in the Berlin Codex (handwritten book, also known as the Akhmim Codex), which contains extracts from three texts: the Gospel of Mary (Magdalene) proper, the Secret Book of John, also called the Apocryphon of John, and the Sophia of Jesus Christ (Pistis Sophia). In the Gospel of Mary manuscript, the only version of which was found exactly in the Akhmim Codex, pages 1 through 6 and 11 through 14 are missing. Truly, there is nothing concealed in the world, which would not be disclosed sooner or later, for manuscripts don’t burn. 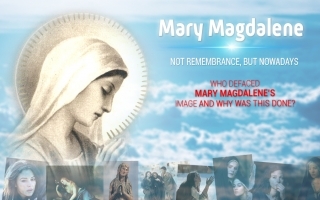 So, we continue debunking one of the most impudent historical myths relating to the name of Mary Magdalene who’s been defamed by the Christian Church. Recently, it’s become very important for us to elucidate this subject, because Rigden Djappo himself gives high praise to Mary Magdalene and her “great feat” (which we will surely refer to later on). And such his attitude is supported by the information contained in Sensei of Shambala (Book IV), where a totally unknown story of this mysterious and charming lady is described. The Primordial Knowledge section contains detailed contents of the aforesaid literary work, so precious in our opinion. 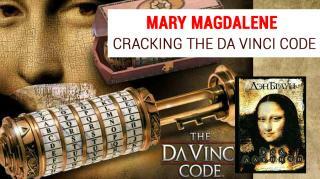 Mary Magdalene, being directly connected with the Holy Grail, plays nearly a paramount role in The Da Vinci Code. Brown adopted the Mary Magdalene theme from the book The Holy Blood and the Holy Grail, where a hypothesis is suggested that this woman was the spouse of Jesus Christ and the wife of his child, most probably a girl who was named Sarah. She became a founder of the Merovingian royal dynasty, representatives of which later on had to hide their noble origin and live under protection of a secret society known as the Priory of Sion. Following the earlier articles "One of the secrets of Mary Magdalene, Jesus Christ’s Beloved Disciple, The Last Supper by Leonardo da Vinci. Mary Magdalene or Apostle John?, and "Cracking the Da Vinci Code: The Unauthorized Guide to the Facts behind Dan Brown's Bestselling Novel, we continue collecting and bringing together scattered information about the mysterious female name covered with ancient legends, secrets and sacred worships. A reader might ask why delving into thousand-year-old legends, when hardly anyone knows for sure what took place just a century ago. There are a plenty of stuff to do now, so maybe it’s easier to leave everything as it is and be satisfied with universally recognized versions of the Orthodox and Catholic religions? Let’s admit mankind has had such habitual and indifferent attitude throughout the last two horrible millennia, full of bloody wars, conquest campaigns, crusades, and economic enslavement stages, which all resulted in a mere technocratic model of consumer society where knowledge of the human nature and the purpose of people’s transitory stay on this little beautiful planet has been completely lost. And now, although many refuse to believe this, we’ve come to the verge after which another global extermination is quite possible. Why? We will try to answer the question through deep scrutiny of the essence of the grandiose phenomenon of Mary Magdalene, the phenomenon seemingly fantastic and unbelievable for an ordinary human mind, for in fact there is much more behind this name than just a story of one of faithful disciples of one of the Teachers of humanity. 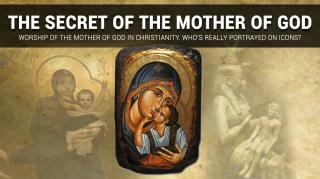 Worship of the Mother of God in Christianity. Who’s really portrayed on icons? Persistently threading our way through the thickets of various historical archives and records in search of mentions of Jesus Christ’s Beloved Disciple Mary Magdalene, we could not disregard a stunning resemblance between the Mother of God as a figure most worshiped by contemporary Christians and most often depicted on icons with a baby in her arms, and very similar pre-Christian prototypes of her. Despite the obvious malicious intent of certain invisible forces that obliterated historical records, extant artefacts do exist and can be an eloquent evidence of the outright plagiarism and striking manipulation of mass consciousness, which manipulation is unprecedented by its scale and timeframe. 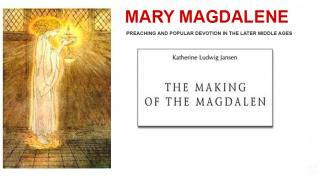 Looking for information about Mary Magdalene, we discovered a very interesting book by American researcher Katherine Ludwig Jansen. Extracts from her fundamental research paper clarify the issue addressed in our previous publications. 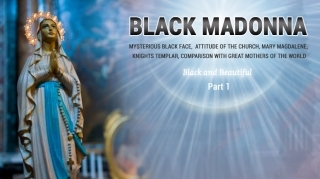 It becomes obvious how the image of one of the most praiseworthy women of all times was deliberately distorted, why and for whom it was beneficial to ascribe to her the past of a loose and demon-possessed woman, supposedly cured by Jesus. We will underline the most important points, and our comments on the text will be in red. I remember my first visit to the church about fifteen years ago. 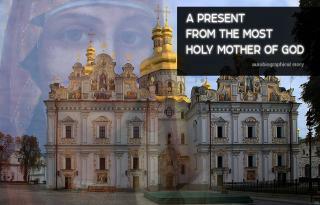 Someone said there was a monastery in Pechersk district of Kiev, where a wonderworking icon of the Mother of God was kept, and, supposedly, if one came there early in the morning, stood at the entire first acathistus and prayed, he or she could ask for certain things, and everything would come true. Yes, this was exactly how I memorized it fifteen years ago: “ask, and everything will come true”. A bait of miracle and wishes fulfilment in those rather troubled times. And I certainly went there, not so much for the sake of asking, but rather to see the icon which was so miraculous to fulfil all people’s wishes. Was it really wonderworking? 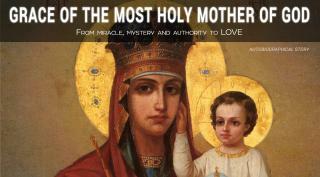 Just to mention, I was not gullible at all, quite the contrary, but for some reason the mysterious wonderworking icon and the nationwide worship of the Mother of God – the authority – became convincing for me. This article lay idle for a month and a half in my desk. The composition of it involved numerous obstacles, and even after the final article version was prepared and thoroughly edited on the website in the offline mode, the text suddenly and enigmatically disappeared, so that I had to rewrite everything all over again. Nonetheless, after a while I decided to go back to this story for a reason unknown to me. In my previous publication entitled Grace of the Most Holy Mother of God I disclosed some details of my biography associated with my past spiritual awakening, if such pathos expression would be appropriate for an ordinary non-pathos life situation. 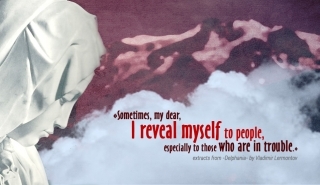 In my case I could stop on that, since I am neither a select nor awarded with any particular divine marks or signs. However, something probably clicked inside, and the memory suddenly exposed a very interesting and long-forgotten story from the same time period, which story’s directly connected with Virgin Mary or rather her manifestation during my ordeals of those days. I gave myself a while to mull over whether I should present the story to a wide audience, and if so, in which form should I do that. I was and am still harried by certain contradictions: firstly I wouldn’t like to seem immodest, and secondly I fear to dilute the emphasis, since for better understanding it’s necessary to give details of my life situation in the first part of the story, while that situation had nothing to do with spirituality. Moreover, the whole story looks rather improbable today even for me, and I’m simply astounded what a fine fellow I was in those years. Iconography is an art that keeps many secrets. Such secrets are ciphered in signs and symbols which conceal information, concepts and details unapparent for a cursory glance of an average person, but reveal a deep sacral meaning to an inquisitive heart of the one who seeks more than the entire material world can offer to its two-legged batteries. 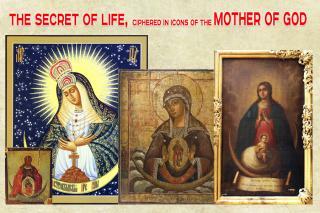 Probably, there is no person on the earth (other than representatives of tribes living in jungles) who hasn’t seen an icon of the Mother of God at least once, namely an icon where there is an up-horned crescent in the lower part of the image or a veil held in Virgin Mary’s hands while her elbows are bent. Icons drawn in such a style have always been particularly nice and attractive for me. Grace and tenderness beyond expression are coming from such images which, like a light amidst impenetrable darkness, are capable of rescuing anyone who asks for Virgin Mary’s help from the quagmire of existence in the brutal world created by people themselves. Not many people know Virgin Mary has a number of sites in Italy – the very country where everything started and everything will end. It started from Peter and will end with Peter as well. As a matter of fact, the entire history of Catholicism has represented a struggle against the pure and Holy Personality, the mistress, Beloved Disciple and Apostle of Jesus – Mary Magdalene. It’s been a fight for power based on envy and hatred, for She always came to ordinary people, not to religious ministers. Places of power chosen and attended by Mary are all around Italy. Since local inhabitants lack genuine knowledge, they believe it was Jesus’ mother who came. However, such misunderstanding does not prevent them from receiving help for already several centuries. Nowadays people here have nobody but Mary to rely and set hopes on, because Catholicism as religion can give nothing to a human being. Having equipped ourselves with a camera, my friends and I went to explore local cultural heritage sites. Luckily, Barcelona as one of the centres of Templar activities in the Middle Ages is full of architectural riches, so we had an opportunity with our own eyes to see signs and symbols that we had previously seen mostly in books. However, what we saw there surpassed all our expectations. Local signs and symbols carefully and accurately placed by Knowledgeable people centuries ago still wait for an attentive eye to notice them. Like guiding stars, they are ready to show the road to those who can orient themselves by them. The AllatRa book became an indispensable compass for us in such doing. 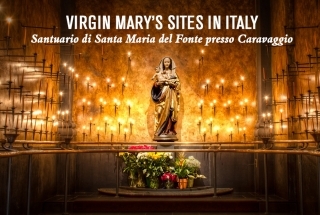 The article Virgin Mary’s sites in Italy mentions Mary’s apparition that occurred on 26 May 1432 near the town of Caravaggio. That was a true miracle. However, nobody gives information on Mary Magdalene’s apparition in our days, although such event did take place and is recorded in Vladimir Lermontov’s book Delphania. Summary of the book: Bad occurrences were faced by Maria and Constantine, when they went on a tour to the New Athos caves. Their son disappeared without a trace, and they failed to find him. Constantine sent Maria back home to Kazakhstan on a train to get prepared for their second child birth, while he himself stayed to continue searching for the son. He was advised to find a sagacious elder and hermit named Nectarios in the Caucasus, who might tell where his son was. He spent six months looking for the hermit and finally found him. The 4th of August was the day of remembrance of St. Mary Magdalene, Equal of the Apostles. Countless riddles and fantasies are associated with this Personality. To tell the truth, it has become news for me that even within Christianity there is no single opinion on who Mary Magdalene actually was. As a person reared on Christian traditions since my early childhood, I used to commonly think that Mary Magdalene was a “penitent sinner”, and I also heard something about stones, demons, feet ablution, the raising of Lazarus, etc. Thus, I had a typical set of knowledge of a person who doesn't know what she’s talking about. Now that I approach information consumed by my consciousness more maturely, it has turned out that most of the knowledge I use is scrappy. I used to take many things on trust, not even thinking whether information I heard or read was trustworthy.